← ΠΟΙΗΣΗ ΤΗΣ ΞΕΝΙΑΣ ΜΠΑΛΤΑΤΖΗ. It is with great pleasure that I announce to you the creation of my ‘personal’ web site within which are hosted my various spiritual messages and studies. The link by which you can visit it is: http://wordstaughtbythespirit.com. There you can also find the five books of my late wife; one of them is translated in English and in French. My works are in three languages: in Greek, in English and in French. This site is functional but it is in its first ‘steps’ and will need improvements in the course of time. The fact that this is a ‘personal’ website does not mean that it is closed to the world! It is open to dialogues and there is nothing in it for which I claim a “copyright”, neither for the written editions nor for the audio recording of the Bible that I produced. This holds good also for my spiritual messages or studies. My desire is to render the Gospel free of charge. The “copyright” belongs only to God in whatever God has given us and we have correctly transmitted! I strongly believe that, irrespective of our imperfections, we have correctly exposed the basic messages of the Bible: Of His love and of His conditions for our salvation! I am absolutely convinced that IF someone does not want to believe and accept the unconditional love of God AND God’s conditions, no one can be saved. I also believe that man with his finest sermons, exhortations and spiritual studies cannot regenerate and change his neighbor! What the apostle Paul said, “And having in a readiness to revenge all disobedience, when your obedience is fulfilled” (2Cor.10:6), helped me to understand the words of our Lord Jesus Christ who declared, “[…] and they shall be all taught of God […]” (John 6:45; Isa.54:13; Jer.31:33; Heb.8:10; 10:16). Only God can teach you when your heart has accepted to be given to Him and is willing to obey! Many are those who have excellent knowledge of the Holy Bible but their knowledge is not accompanied by love for the truth and the uprightness. This is why they are not changed in depth. 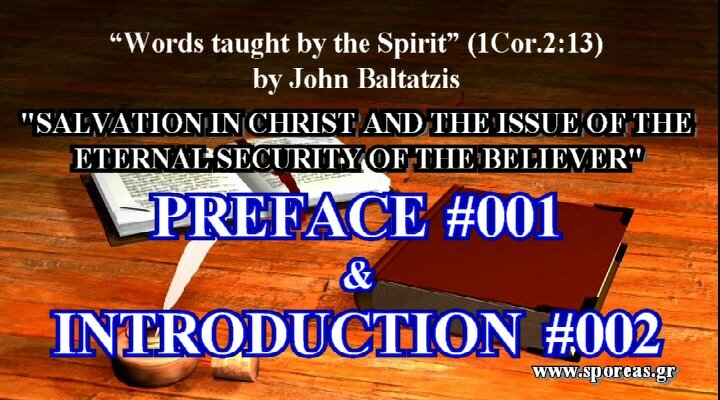 Those who would like to know more about me, who I am and what I believe, I would advise them to refer to one of my old articles entitled “Denominations” under the heading “WHAT I BELIEVE” of my web site by using the link: http://wordstaughtbythespirit.com. An American brother in Christ offered me towards the end of the ‘80s the New Testament in English on floppy disks. This “gift” triggered in me a strong desire to do the same work in Greek for the entire Bible. I went, therefore, and bought from Budapest, Hungary, the OCR program for the Greek language (because only there it could be found, those years) and I started the work of the conversion of the Holy Bible, and in collaboration with the “Online Bible”, Canada. This work took overall about four years. If I had not had the precious help of Athanasios Karabasis, the son of my friend and brother in Christ, George Karabasis, that project could not be realized. I produced three versions: The Polytoniki or Multiaccent (MGreek), the Monotoniki or Single Accent (MGreekM) and the Without Accents (MGreekU). During one of my travels in Thessaloniki, in 2003, to visit my childhood friend George and his wife Sofia, I met all by chance (!!! ), Angelos Margaritis, the grandson of my friend George, who being informed of my problem or better of my strong desire to share this work free to everyone who might be interested, expressed his will to convert the 76 audio-cassettes into CD or better into mp3 CD. He produced them at his own expenses and distributed them free by the hundreds!These Bible editions as well as certain other versions which were modified by Sporeas.gr and Newlife4you, based on my original recording, are already included in my web site. Each of them has its own precious features. 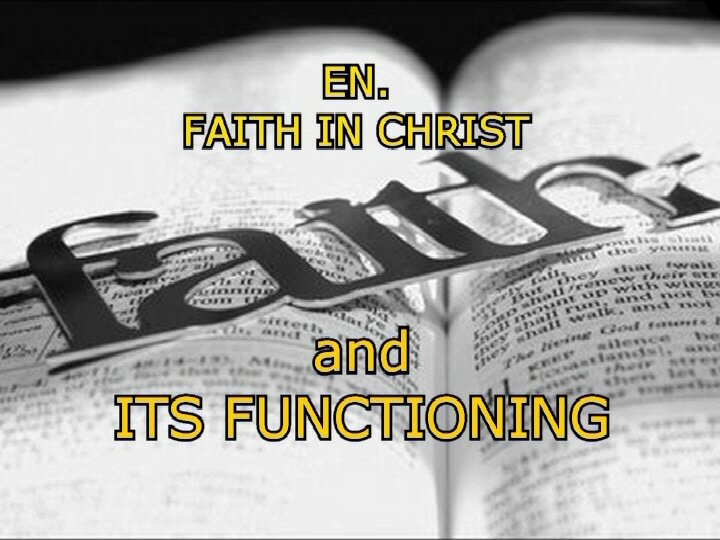 Everyone can find the differences concerning their special functionalities which appear under the headings THE BIBLE IN GREEK and THE GREEK BIBLE IN VIDEO. What matters is that the Word of the Lord may have free course and be glorified (2Thess.3:1)! Then, he converted them into DVD players. Later, he used the written version Monotoniki in order to add to each written verse the corresponding verse from my recorded version, and by adding to them a background of beautiful pictures transformed them into slide-shows. Chapter after chapter, verse after verse, and page after page all enumerated. In almost all his efforts he was helped by his uncle Athanasios Karabasis, who is an informatics expert. Finally, with endless hours of work, great efforts and under most difficult financial situations, he produced on the basis of the slide-shows the edition www.GodTube.gr (video). (This version presents some slight sound problems at the end of a few chapters, which will be corrected in due course). By God’s grace, he produced an excellent work and without any payment from me. The mp3 CD’s and the two DVD’s for the entire Bible give the possibility to hear, to see and enjoy beautiful pictures with the possibility to chose any of the books of the Bible. I am and will always be grateful to them! So, I have found that, after nearly forty (40) years (! ), the written version of the Bible combined with the audio version have been valued also by other Christian organizations with some nice changes and very useful presentations! A lot of tears of joy and gratitude to God flowed from my eyes, when I saw that after almost 40 years these works have begun to contribute to the expansion of the Word of the Lord through the Internet to the ends of the earth!!! Yes, to the ends of the earth! Heaven and earth will pass away, but the words of the Lord Jesus Christ will never pass away (Mat.24:35)! When the Government sent me to Brussels in 1976, as the agricultural counselor for the accession of my country to the European Union, my intense spiritual ministry which I had in Athens for many years among the Churches ceased. The only thing that I could do, in reality, was for me to serve during 28 years in the distribution of the Bible in the context of the Gideons association. The flame, however, that burned in me for the work of evangelization of unbelievers and especially in the edification of believers was blocked. I was in Belgium, in a hospitable country, but in a foreign country, and I was a stranger among strangers! Therefore, I was praying and waiting patiently to see other opportunities and especially under the guidance of the Lord. God opened my eyes to see that my deep desire could be realized by sending my spiritual messages and studies via Internet. Some brothers helped me at the beginning to find addressees. God put the seal of His approval and the positive responses arrive almost every day from my recipients who use this spiritual material in several ways. Finally, I would like to thank from the depth of my heart those who are running the web sites www.GodTube.gr (formerly: www.ZontanoNero.gr), www.Sporeas.gr and www.Νikites.eu : Angel MARGARITIS, George ECONOMIDIS and George KANTARTZIS respectively, for their faithful cooperation, encouragement as well as the wonderful improvements they made, not only concerning the Bible but also concerning the publication of all my spiritual messages and studies as well for the books of my wife. I thank also all those who, during the years, have worked faithfully and behind the scenes for the revision of my texts. God bless them and bless His work for the salvation of souls and the edification of believers. In closing, I would like to add only one word: The whole thing is due to the power and grace of God who gave his Son Jesus Christ for our sins and raised Him up for our justification. To Him belongs ALL the Glory!